Google’s MVNO: What’s Behind it and What are the Implications? How will getting into the MVNO business help Google shore up its business model? We examine Google’s objectives, how it could price the service, and the implications for telcos and other players. Google, the undisputed leader in online advertising and tech industry icon, has more problems than you might think. 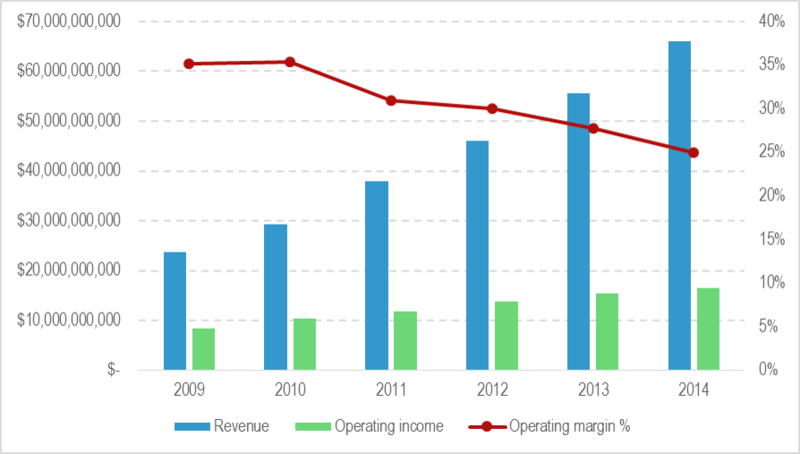 The grand narrative is captured in the following chart, showing basic annual financial metrics for Google, Inc. between 2009 and 2014. This is essentially the classic problem of commoditisation. 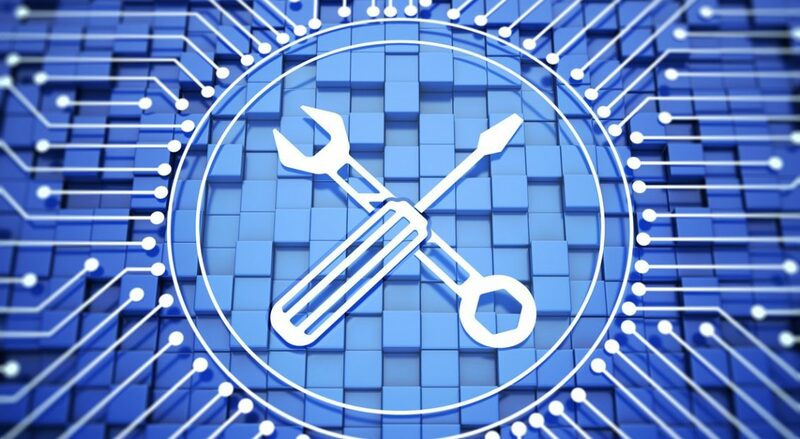 The IT industry has been structurally deflationary throughout its existence, which has always posed problems for its biggest successes – how do you maintain profitability in a business where prices only ever fall? Google is growing in terms of volume, but its margins are sliding, and as a result, profitability is growing much more slowly than revenue. Since 2010, the operating margin has shrunk from around 35% to around 25%, a period during which a major competitor emerged (Facebook) and Google initiated a variety of major investments, research projects, and flirted with manufacturing hardware (through the Motorola acquisition). Google is very, very dependent on selling advertising for revenue. It does earn some revenue from content, but most of this is generated from the ContentID program, which places adverts on copyrighted material and shares revenue with the rightsholder, and therefore, amounts to much the same thing. 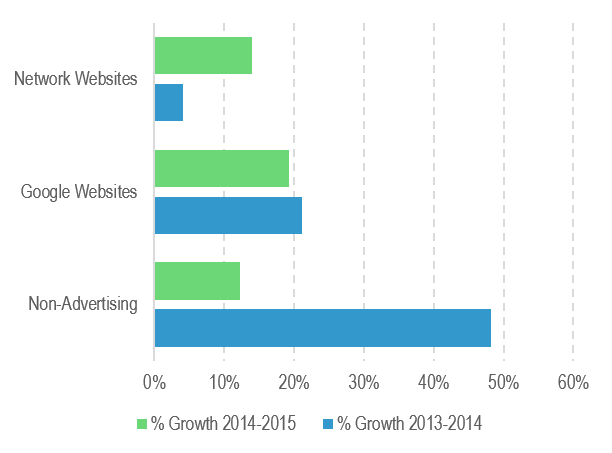 Over the past two years, Google has actually become more advert-dominated, as Figure 2 shows. Advertising revenues are not only vastly greater than non-advertising revenues, they are growing much faster and increasing as a share of the total. Over- reliance on the fickle and fast changing advertising market is obviously risky. Also, while ad brokering is considered a high-margin business, Google’s margins are now at the same level as AT&T’s. 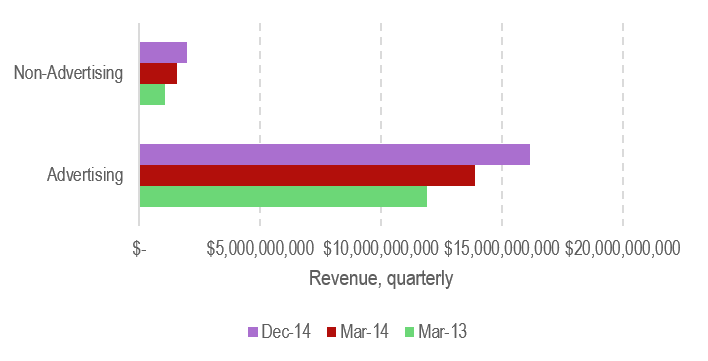 The growth rate of non-advertising revenue at Google has slowed sharply since last year. It is now growing more slowly than either advertising on Google properties, or in the Google affiliate network (see Figure 3). At the same time, the balance has shifted a little between Google’s own properties (such as Google.com) and its affiliate network. Historically, more and more Google revenue has come from its own inventory and less from placing ads on partner sites. Costs arise from the affiliate network because Google pays out revenue share to the partner sites, known as traffic-acquisition costs or TACs. Own-account ad inventory, however, isn’t free – Google has to create products to place advertising in, and this causes it to incur R&D expenditures. In a real sense, R&D is the equivalent to TAC for the 60-odd per cent of Google’s business that occurs on its own web sites. Google engineering excellence, and perhaps economies of scale, mean that generating ad inventory via product creation might be a better deal than paying out revenue share to hordes of bloggers or app developers, and Figure 4 shows this is indeed the case. R&D makes up a much smaller percentage of revenue from Google properties than TAC does of revenue from the affiliate network. Note, that although TAC might well be rising, the spike for Q4 2014 is probably a seasonal effect – Q4 is likely to be a month when a lot of adverts get clicked across the web. What do you need to make a mini-carrier? How low could the Google MVNO’s prices be?